We are a small graphic design studio that creates visually engaging digital & print media for startups and businesses of all sizes. Berm Studios designs and builds innovative displays for trade shows, museums, and corporate events. 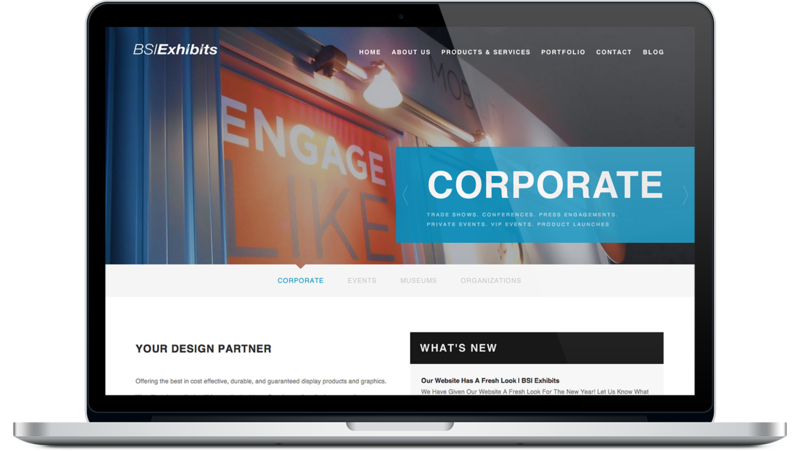 We created a new website from the ground up including a blog and social media integration to update their clients on their latest endeavors. Action Bamboo Fly Rods creates custom bamboo fly rods built to order and hand made in the USA. 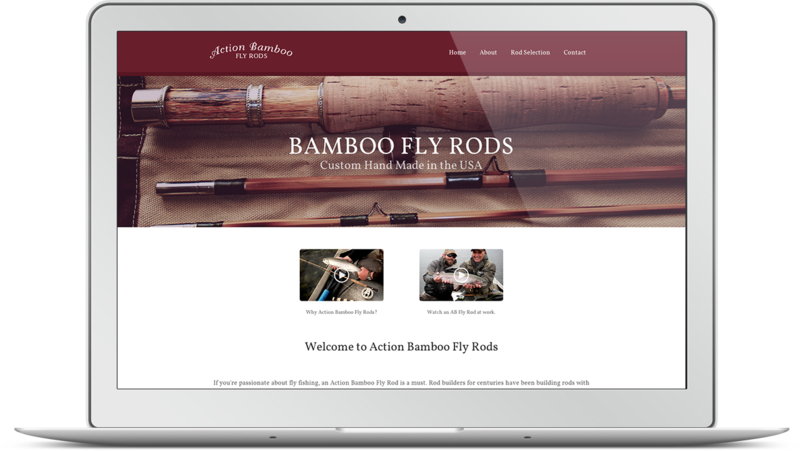 Terry Grills, the owner and artisan of Action Bamboo Fly Rods asked us to build him a website to showcase his company on the web. This included a gallery to show off his building technique as well as an order page for customers to design there very own rod. 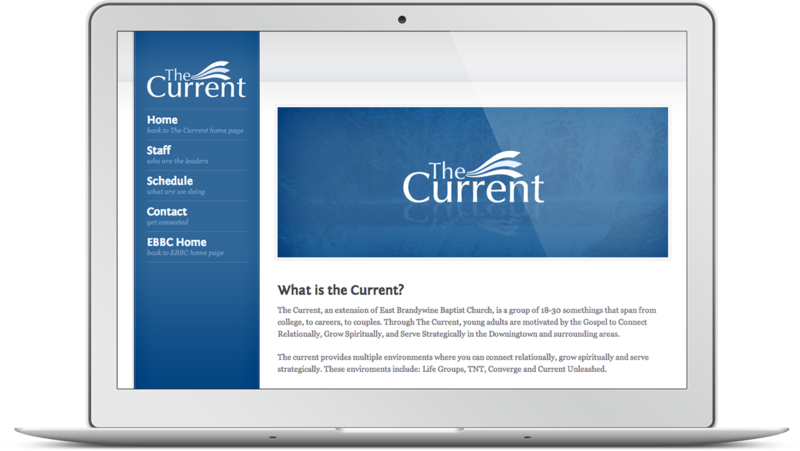 This is a website that we designed for East Brandywine Baptist Churches young adult group "The Current". They were looking for a place for young adults to find out about the groups mission and to help them get connected and stay current with the groups activities. This was a joint effort with SKWD associates who developed the backend of the website. Liza Horwath is a lifestyle and studio photographer. She came to us looking for a website to help advertise her growing photography business. We came up with a custom design that suited her artistic style and helps show off her photography collection. We decided to use Smugmug.com for handling content management, which she was already accustom to using. 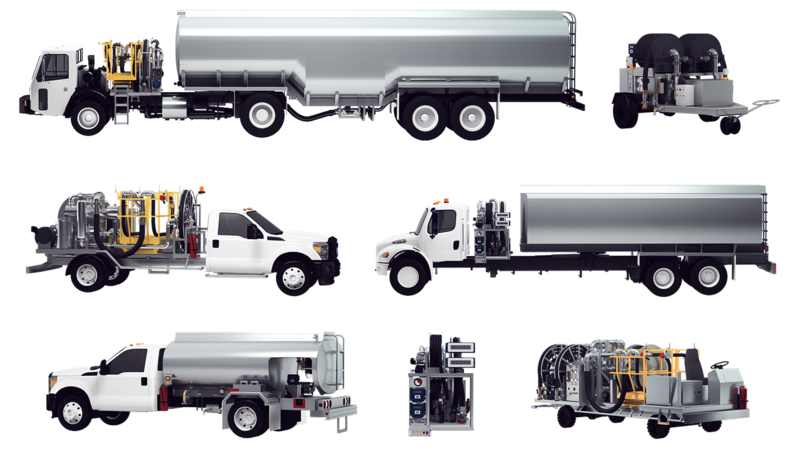 Rampmaster is the most innovative aircraft refueler manufacturer in their field. Rampmaster was looking for new ways to advertise and present their trucks to their customers. Working closely with their engineers we created a more interactive view of their products by using 3D rendering and 360° presentations of their products for online and print advertising. Here is a collection of brand identities we've created for past projects and case studies. ©2013 CGPhoenix All Rights Reserved.